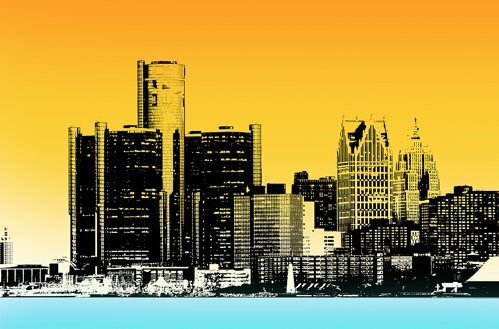 Why Are Detroit's SEO Companies Learning The Art Of PR? Home » Blog » seo » Why Are Detroit’s SEO Companies Learning The Art Of PR? As one of Detroit’s SEO gurus, I’ve noticed that some my peers have started moving in an unusual direction lately — away from the technical rules of search engine optimization and into the ‘softer’ science of public relations. It wasn’t too long ago that backlinks were the be-all and end-all of SEO, but as we’ve been slapped around by Pandas and Penguins and whatnot, things have clearly started to change. Content mills are virtually extinct these days; website directories don’t carry the authority that they used to; even the mightiest of the article directories has had to scale back it’s advertisements and put it’s primary content front and center in order to keep it’s place at the top of the SERPs. Gone are the days when you could write a solid article, have an outsourcer spin it into 144 different articles, and hire some guy from Bangladesh to submit each article to one of 144 different article directories for a massive flood of backlinks. Today, the backlinks that Google considers truly ‘authoritative’ only come from a relatively few sources: .gov, .edu, and .mil sites; Wikipedia and other major informational portals; and social media sites. Obviously, it’s a lot of effort to get a backlink from a high PR government site — and good luck having any link you put on Wikipedia survive for more than 20 minutes. But social media sites are huge, easy, and ripe for the plucking for people who know PR. Social marketing might not be on every SEO company’s website as a service they offer, but rest assured the ones who don’t are studying at a fever pitch, getting ready to give their clients what they want. The general plan of attack looks like this: you have a skilled web designer build social account pages for your company. Once the accounts are properly constructed, the PR guy comes in and starts getting the crowd riled up. If you can manage to put on a decent PR campaign by cleverly combining social media events — Ford did this with true style with their campaign for the Ford Fiesta — you can get your followers to start posting links back to your site without you asking them to. That’s when PR cycles back around again and becomes powerful SEO. Real success in the social marketing field, then, requires a lot of specialists to come together and do their thing well. A web designer has to create social media account pages that are attractive, intuitive, and interesting. An SEO guy has to make sure that those pages are properly set up to allow others to create backlinks as easily as the medium in question allows — and that the pages your followers are going to be backlinking to are optimized to take advantage of those backlinks. And, of course, the PR guy has to organize and run the campaign. To date, I don’t know of any companies in Detroit that offer all three services at once — or even that it would be optimal to have a single company do all three — but I’m sure that a few are working on it. We’ll see what they bring to the table soon enough.